A consortium of six prominent telecom and content service providers – Amazon, Facebook, PLDT, NTT Communications, PCCW Global, and SoftBank – have signed an agreement to build a new transpacific submarine cable system connecting Japan, the Philippines and the United States. Undersea communications specialist TE SubCom, a subsidiary of TE Connectivity, has been awarded the supply contract to build the system. Scheduled to be ready for service by early 2020, the 14,000km-long Jupiter Cable system will provide greater diversity of connections across the Pacific as well as optimal connectivity to data centres on the West Coast of the United States. The route will connect Maruyama, Japan; Shima, Japan; Los Angeles, California, USA; and Daet, Camarines Norte, Philippines. NTT Com’s Asia Submarine-cable Express (ASE), Asia Pacific Gateway (APG) and Pacific Crossing-1 (PC-1) cables will connect with Jupiter to provide a redundant three-route structure linking major cities in Asia, Japan and United States with a secure and reliable international network. 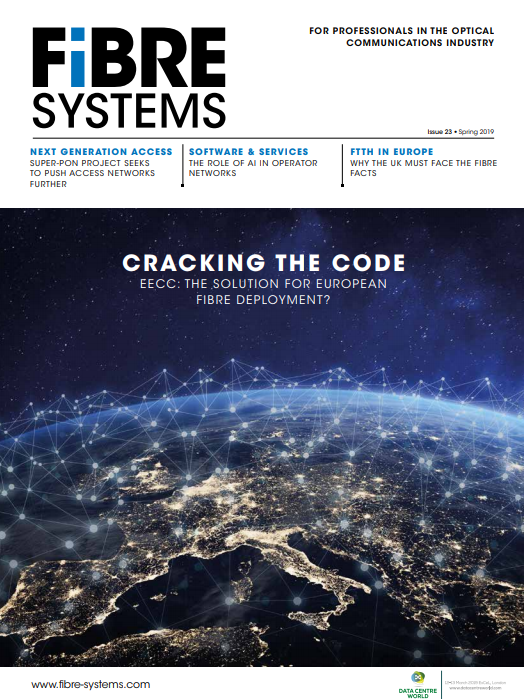 He added: “TE SubCom has a proven record of success in the design and implementation of innovative, scalable and robust transoceanic cable systems, making the company the most reliable choice for the Jupiter supply partner." With an initial design capacity of more than 60Tb/s, the Jupiter Cable will be one of the most advanced submarine cable systems built to date. Individual wavelengths will be capable of 400Gb/s transmission. TE SubCom has configured Jupiter as a trunk and branch system with reconfigurable optical add/drop multiplexing (ROADM) technology. This functionality is implemented with wavelength selective switch (WSS) technology to create flexible and gridless nodes that allow individual wavelengths to be reconfigured as necessary. Remote reconfiguration is enabled by robust optical command and response channels. This allows effective recovery from cable cuts when needed, through flexible bandwidth reallocation. The ROADM nodes are also equipped with a telemetry channel that allows access to information about the undersea spectral performance.